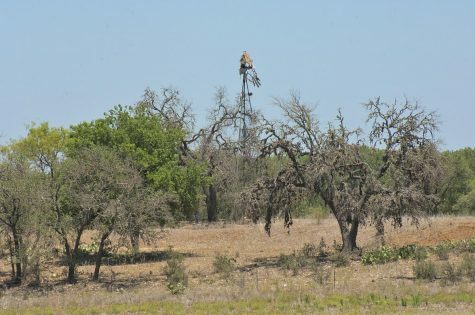 Drought kill live oak in Central Texas: These trees illustrate a portion of the findings in this article led by researchers from Purdue University. Increasing moisture in western parts of the central U.S. has led to a westward migration of young, vigorous tree species more common in wetter, eastern areas. As more mature trees succumb to climate change impacts such as drought and mortality from insects and disease, even in the face of increased extreme drought, greater overall moisture from climate change allows new species to move in, dramatically changing the environment. A recent article in Atlantic implies climate change to be wrongly viewed as something we don’t yet know much about. This article “American Trees Are Moving West, and No One Knows Why”, is half correct. The authors in the study reported upon reveal the reasons why trees are shifting west (as well as north), and that the shift is intrinsically related to climate change. That “No One Knows Why” these trees are shifting westward is fundamentally not a part of this research. Of critical importance to climate change awareness and the rate that we are changing our climate today, the authors tell us that these changes are happening 60 times faster than those documented in climate changes in recent prehistory. This process can be observed in the high altitudes and high latitudes of western North America where drought stress is the major player in the death of 60 to 90 percent of the spruce, fir and pine trees in nearly 100 million acres of forest because of native bark beetles and diseases that are opportunistic in drought stressed trees. In Texas, 300 million mature trees were killed by drought in the 2011 drought pulse alone. These trees were generally 100 to multi-hundreds of years old putting a punctuation point on the frequency of the extreme drought that killed them. Climate change is not simple, and simple explanations of observed impacts are detrimental to the increasing understanding of what climate change is actually doing to our world. One of the basic assumptions about observed changes in our world compared times past needs to change. This assumption is that these changes can be explained by other factors. At times, this is a valid assumption. But in general; if it looks like, or tastes like, or smells like climate change, it is. Fei et al., Divergence of species responses to climate change, Science Advances, May 17, 2017.